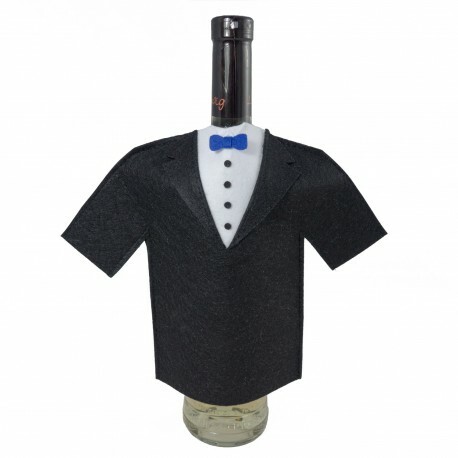 Bottle Suit - perfect gift for men, women and also for all lovers of good wines and original ideas! "For human happiness and smile, there is a table, wine and friends," said Homer. Everpy party is a special moment which deserves exceptional access to gifts. Handmade bottle suit with its own inscription is a great and universal gift for all who appreciate good wine. The suit is universal. It is suitable for every bottle of wine with a volume up to 0.75 l.
The bottle is not part of the product price.